Free CARFAX Available! 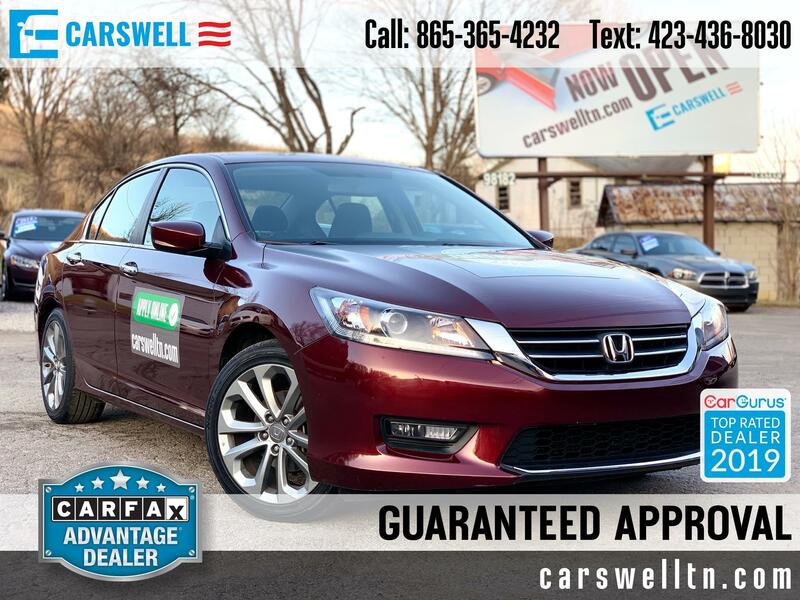 Maroon 2014 Honda Accord Sport FWD CVT 2.4L I4 DOHC i-VTEC 16V Extended Warranty Available, 4-Wheel Disc Brakes, Alloy wheels, Automatic temperature control, Four wheel independent suspension, Steering wheel mounted audio controls, Variably intermittent wipers. 26/34 City/Highway MPG Priced below KBB Fair Purchase Price! Get Financing Approved Today! Awards: * 2014 IIHS Top Safety Pick+ * ALG Residual Value Awards * Green Car Journal 2014 Green Car of the Year * 2014 KBB.com Brand Image Awards 2016 Kelley Blue Book Brand Image Awards are based on the Brand Watch(tm) study from Kelley Blue Book Market Intelligence. Award calculated among non-luxury shoppers. For more information, visit www.kbb.com. Kelley Blue Book is a registered trademark of Kelley Blue Book Co., Inc. Based on 2017 EPA mileage ratings. Use for comparison purposes only. Your mileage will vary depending on how you drive and maintain your vehicle, driving conditions and other factors.